The Shok Paris story began with the dream of Bill Sabo in 1982. Wanting to form an original band, Bill turned to his cousin Eric Marderwald and Ken Erb. Eric had been playing in an early incarnation of Breaker, and was convinced to join ranks with Bill and Ken. After a time of rehearsal's, the three placed an ad for a bassist and vocalist. Kel Bershire answered the ad for bassist and the nucleus of Shok Paris was formed. After trying out various singer's the band hired Buddy McCormack , and Shok Paris h ad it's foundation. Not wanting to follow the usual pattern of local bands playing the bar scene doing covers, Shok Paris immediately started writing original material. 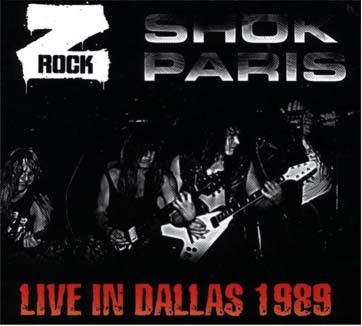 In 1983 Shok Paris was offered a spot on the upcoming Cleveland Metal compilation. Cleveland Metal showcased the band's talent, but the band wasn't happy with the vocal's and decided to replace Buddy. Kel suggested a guy he had seen in a local band from his area (New Philadelphia, OH). Kel had seen a band called "Banger" from his home town, and had immediately taken notice of the singer Vic Hix. Vic came onboard in early 1984, and the band was set to conquer the world ! 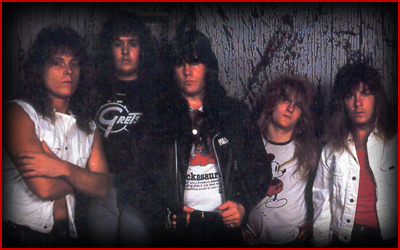 Cleveland Metal was Bill Peters first step in the launch of a record label, and the following year Auburn Records was formed. 1984 saw the release of the bands debut album "Go For The Throat". 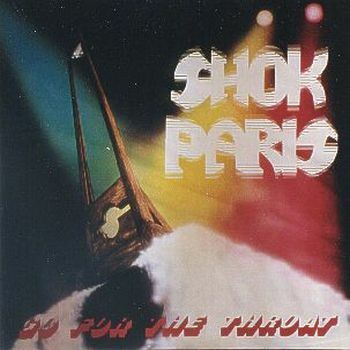 Shok Paris gained a huge underground following and fan base, with the GFTT release. The band played throughout Ohio, Pennsylvania, and western New York supporting the GFTT album, opening for the likes of Breaker, Rotterdam, and a host of other bands. 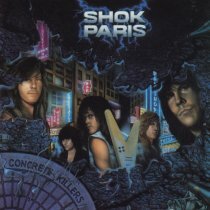 In 1986 Shok Paris returned to the studio to record their follow-up to GFTT, again with Bill Peters at the helm. After writing the material and preparing for the recording, Bill Sabo left due to personal commitments. Jan Roll replaced Bill and the band entered Beachwood Recording Studio's to record Steel and Starlight. The album was recorded, and set to be released once again on Auburn Records. At the last minute, IRS Records made an offer, and the recording's were remixed and released on IRS. Eric say's Bill Peters still has the original mix of the recording's which is much heavier than what IRS released, maybe some day they will see the light of day. 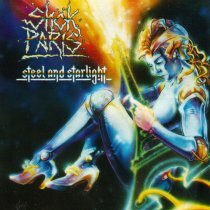 After the release of Steel and Starlight, Shok Paris undertook an American tour supporting none other than Savatage on their "Hall of the Mountain King" tour.